As of October 2018, there were 1.5 billion active Gmail users in the world. With the increasing popularity of Android devices, the number of Gmail users is growing rather exponentially. 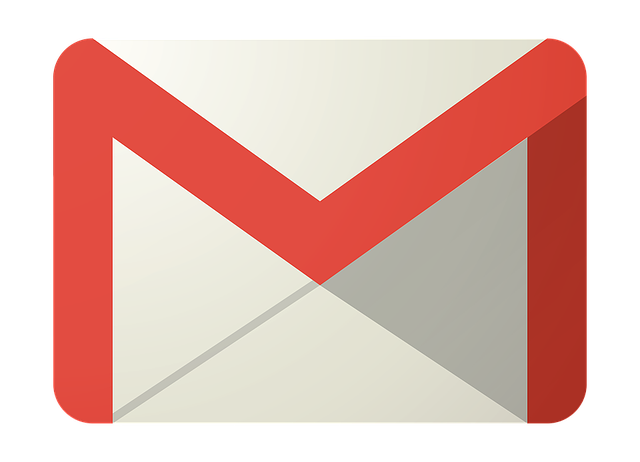 If you are a Gmail user, you must be aware of the advantages it offers as a personal mailing platform. But is it a good option when it comes to your business? That is debatable. Gmail does offer some amazing features that make it a great option for beginners. It does have its fair share of cons as well. By using Gmail, you are actually sharing your crucial information with Google (that they are going to use for targeted advertising). Besides, you don’t want to mix your personal emails with the official ones, do you? Did you fail to notice that there are several useful mailing platforms besides Gmail? Interestingly, each of these platforms is at par with Gmail. If you are looking for an alternative to Gmail for your business, you can get started with one of these email services. If you have used Windows operating system before, you must have noticed the program named Microsoft Outlook. It was developed by the same brand that developed Windows OS. It is quite obvious that this email platform works best with Windows. However, it operates smoothly on almost every popular operating system including Android, Macintosh, and iOS. Interestingly, MS Outlook has over 400 million active users. It has some amazing features that are essential for businesses. It offers up to 5 GB of free storage along with an upload file size limit of 20 MB for each attachment. Also, it is fast and user-friendly. It works well with all devices (PC, laptop, tablet, mobiles, etc.). Moreover, it offers end-to-end encryption, which makes emailing more secure. Zoho mail lets you create a domain-based email address for the entire organisation in real time. Just like Gmail and Outlook, Zoho mail also allows you to integrate reminders, contacts, calendar, docs, tasks, and other links. Since it is a web-based platform, you can access it on any device with the help of a browser. Zoho email’s added layer of security gives it the edge over Gmail. It supports encryption for documents and emails. Also, this platform allows you to customise your emails, which are essential for email marketing campaigns. It is available free of cost. The paid services start from $1 per user. Mail.com allows you to create a new email account with the option to choose from a wide range of domains (more than 200). It is free. So, you don’t need to worry about expenses while creating a customised email ID. Moreover, you get 2 GB of email storage along with the upload file size limit of 50 MB. If you regularly share large assignments or presentations with the team, Mail.com is the best option for you. Furthermore, the email service offers antivirus scan, spam filters, mail collection, mobile service and calendar integration. The mail collection feature lets you collect emails from different accounts and gather them at one place. Also, it has support for other email services such as Yahoo, Hotmail, and Gmail. If you prioritise security, and you don’t want to spend on premium services, Inbox.com is the best choice for you. According to the website, Inbox.com does not spy on your messages. Moreover, it offers protection against spam and viruses. It even lets you compose and read messages while being offline. The email service offers 5 GB of cloud storage with the attachment size limit of 50 MB. It also has a photo module that lets you store, share and organise all the photos conveniently. Also, it lets you find old emails in an instant with the help of the search option. Moreover, you can group the emails as per your preferences using the label feature. AOL Mail has been in service since 1993. It has maintained its place among the leading mailing platforms ever since. It is free and greets you with the option to create your email ID with custom domain names. You can also attach files up to 25 MB each. You can find the emails in the inbox quickly with the help of the search feature. Interestingly, the service is available in 54 different languages. However, the best feature of this service is that it offers end-to-end encryption of messages. So, your emails remain safe. Also, the mail service offers extra security with virus protection and advanced spam filters. Moreover, you can chat with your contacts using the AOL Instant Messenger (AIM). The only problem is that it runs ads. Yahoo was one of the toughest competitors of Gmail during the initial phase. However, Gmail surpassed it easily by offering a more user-friendly experience. Yahoo has improved a lot since then and remains to be one of the most widely used email services today. It can be accessed on computers, mobiles and any other device that supports POP. Yahoo mail allows you to import contacts from Outlook, Gmail, Facebook and others. Even though it was not considered to be safe earlier, presently it comes with spam protection and SSL encryption that needs to be turned on manually. The Yahoo messenger is an interesting instant messaging option that can help you communicate smoothly with the employees. You can use plenty of emailing platforms other than Gmail. Since you will be using the email service for businesses, you need to consider the factors such as security, storage, and user experience before making the final call. Gmail might be the most popular emailing platform in the business, but the ones mentioned in this post are no less credible. How to Execute a Business Expansion Plan Successfully?